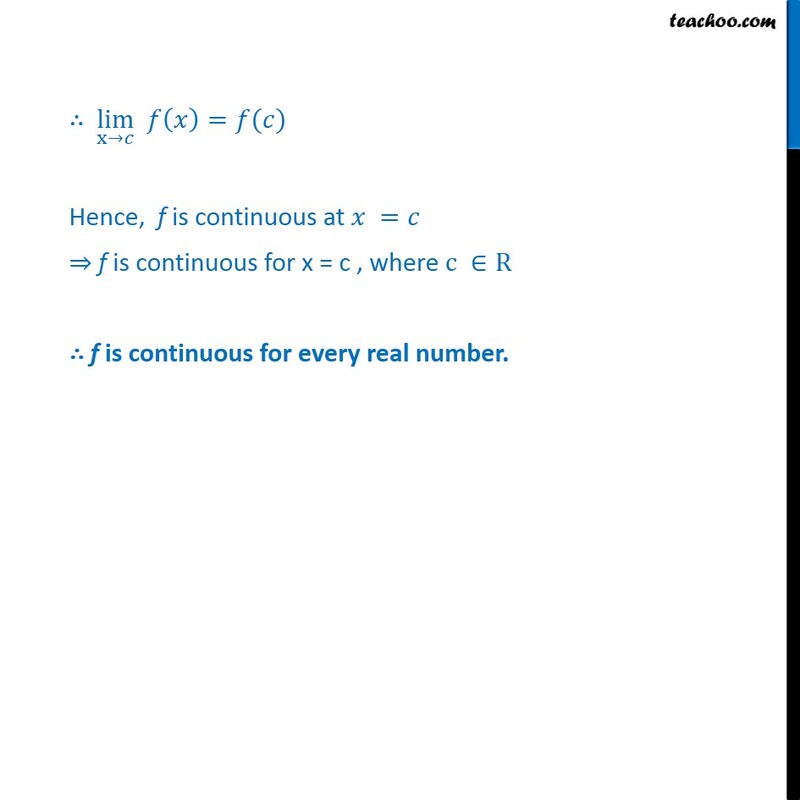 Example 6 Prove that the identity function on real numbers given by f (x) = x is continuous at every real number. Given 𝑓 (𝑥) = 𝑥 Let c be any real number. 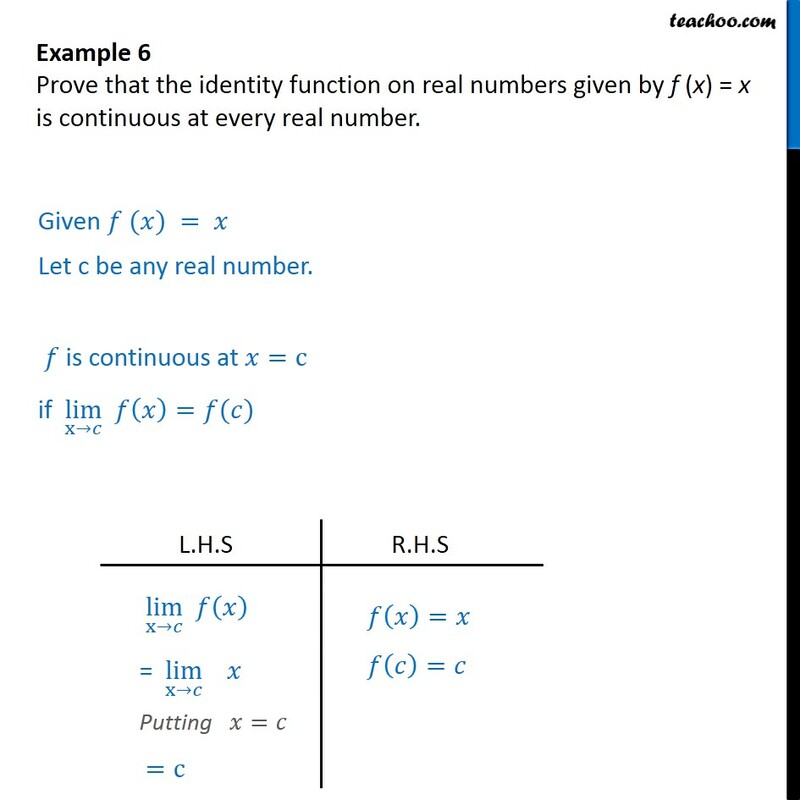 𝑓 is continuous at 𝑥=c if ﷐lim﷮x→𝑐﷯ 𝑓﷐𝑥﷯=𝑓(𝑐) ∴ ﷐lim﷮x→𝑐﷯ 𝑓﷐𝑥﷯=𝑓(𝑐) Hence, f is continuous at 𝑥 =𝑐 ⇒ f is continuous for x = c , where c ∈R ∴ f is continuous for every real number.